Antique African Lion claws. Coming soon on Bones to Pick. Wolf claws are now available on the Bones to Pick shop! These are real, authentic North American Grey Wolf claws, wire-wrapped in real sterling silver. Bones to Pick is also running a ‘Cyber Monday’ sale, 15% off items in our shop. Stop on by and check us out! Bone fragments and pieces from a roadkill juvenile grey wolf…. Bone fragments and pieces from a roadkill juvenile grey wolf. I’ll be sorting through and settling some of these pieces today. Amongst the pile are a complete set of pelvic bones, which can lend balance and stability to a working. I’m sure this probably doesn’t need saying, but I’m going to say it anyway: guys, I am not just a peddler in animal parts. There is a significant amount of ritual work that goes into what I do–divination, purification, propitiation, offerings, and other related functions. Please understand this when getting in contact with me. What I provide are not just products but also services–some of which goes along automatically when a purchase is made with me, some of it is not even listed on BtP. Ask. Counseling and spiritual work are part of the package of services I provide, but I prefer to sit down with everyone on an individual basis and jam with them about what they need. Note too that I also have a “regular” job, one that pays my bills, keeps food on the table and a roof over my head. So, you won’t have to worry about someone who will throw ethics to the wind and gouge you to pay the cell phone bill. I am a human services worker, and I am a spiritual services worker as well. The ethics I employ to the former I also do to the latter. If you have a product or service you would like to request of me (or anyone else here at BtP), you can do so with confidence. But also please understand that most of my work–spiritual or temporal–I perform offline. I may be sporadic with messages, or even occasionally inconsistent in my communication. Have patience. I am here. 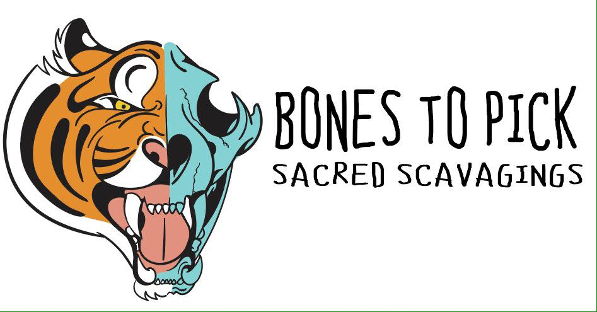 I want to thank you all for making Bones to Pick a success, as we’ve met some wonderful people and made some awesome connections in the short time we’ve been operational so far. Polar hear relics. Antique claws, legally obtained (from old rug). The second, smaller claw may be incorporated into a beaded necklace. Haven’t decided yet.